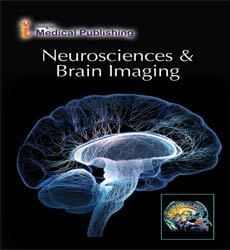 Journal of Neurosciences and Brain Imaging publishes original research articles of outstanding medical importance. We will consider manuscripts of any length; we encourage the submission of both substantial full-length bodies of work and shorter manuscripts that report novel findings that might be based on a more limited range of experiments. Publishing with open access is not without costs. Journal of Neurosciences and Brain Imagin defrays those costs from article-processing charges (APCs) payable by authors onces the manuscript has been accepted for publication. Biomarkers Journal does not have subscription charges for its research content, believing instead that immediate, world-wide, barrier-free, open access to the full text of research articles is in the best interests of the scientific community. Source Data, Reports of statistical analysis, and other materials about the results of researches Authors who publish in Biomarkers Journal can make their source data, reports of statistical analysis, as well as any other materials that they judge important, freely available to the scientific community. Submit case studies of three or fewer patients as "Case report". Text should be structured in the following way: Abstract, Introduction, Case report, and Discussion. Abstract: It should be structured. In 250 words or less; state: Context, Case report, and Conclusions. Do not use nonstandard abbreviations, footnotes or references. Introduction: Summarize the context for the report. Case report: Report the data of the patient(s) in a logical sequence in the text, tables, and illustrations. Do not duplicate data in graphs or tables. Report the reference range of any laboratory data. Discussion: Emphasize the novel situation and add important insights into mechanisms or diagnosis or treatment, as well as, the conclusions that follow from them. Do not repeat in detail data given in other sections of the paper. • Indicate the Name, Town, and Country of the institution(s) where the scientific work was undertaken. • Do not underline any word in Title, Authors’ List and Institution.